LOS ANGELES (Aug. 1, 2017) – Chick-fil-A, Inc. confirmed today that its first Downtown Los Angeles location is on the way. The 4,100 square-foot restaurant will be located at 660 South Figueroa Street and will occupy a two-story space on basement and street levels. Designed and built to fit into the vibrant environment of Downtown Los Angeles, the restaurant will feature dining room seating for 80 and a community table for large gatherings. Formally named Chick-fil-A at 7th & Figueroa, the restaurant will be open 6:30 a.m. to 10 p.m., Monday through Saturday. Los Angeles resident Ashley Lamothe was selected as the local franchise owner of the new Chick-fil-A restaurant and will employ approximately 80 full- and part-time team members. Lamothe currently is franchise owner of the Chick-fil-A restaurant at the University of Southern California and will be leaving her post there to oversee day-to-day activities of the new downtown location. No stranger to Chick-fil-A, Lamothe got her first job with the restaurant company when she was just 15 years old. She began working as a Team Member at a restaurant in her hometown of Atlanta, Ga., as a way to earn money to buy her first car and continued throughout her years attending Spelman College. 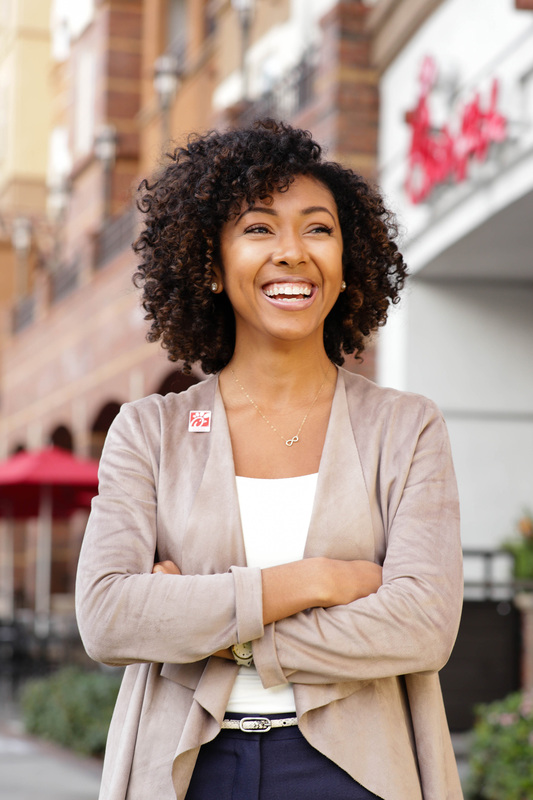 More than a decade later, at age 26, Lamothe relocated to Los Angeles to become the franchise owner of the USC restaurant – making her one of the youngest franchise owners in Chick-fil-A history. While running the USC restaurant, Lamothe was awarded Chick-fil-A’s Champion’s Club award, an honor reserved for Operators whose businesses experience particularly high growth and success. Having called L.A. home for the last six years, Lamothe is excited to introduce Chick-fil-A to downtown L.A. with the opening of her new restaurant. At her USC restaurant, Lamothe's passion has always been supporting her team and helping them grow as professionals. She looks forward to providing the same positive, nurturing workplace environment at Chick-fil-A 7th & Figueroa. Chick-fil-A is known for hiring, developing and retaining young talent, offering a supportive workplace with opportunities for leadership development, promotions that lead to management roles, respect for work-life balance and competitive wages. Chick-fil-A 7th & Figueroa will employ approximately 80 full- and part-time team members. To help its team members pay for college, the restaurant will offer the opportunity for college scholarships through Chick-fil-A’s enhanced national scholarship initiative, Remarkable Futures. Remarkable Futures more than doubles the company’s prior investment in team members’ college educations – providing $4.9 million in scholarships in 2017 alone. Students have the opportunity to receive up to $25,000 in scholarships to be applied at any accredited institution of their choice, including online and on-campus formats, and can be combined with tuition discounts and other benefits at more than 70 partner colleges and universities nationwide. As with all Chick-fil-A restaurants, team members are also guaranteed Sundays off. Nearly everything on the Chick-fil-A menu is made from scratch daily, including salads made from fresh vegetables and fruit that is hand-chopped throughout the day. The lemonade is made from three simple ingredients: lemon, sugar and water. Like all Chick-fil-A restaurants, the chicken served at Chick-fil-A 7th & Figueroa will be 100 percent whole breast meat, without any fillers, hormones or additives. Each chicken breast is hand-breaded to order and pressure cooked in 100 percent refined peanut oil, which is naturally trans-fat- and cholesterol-free. By the end of 2019, every Chick-fil-A restaurant will serve chicken raised without antibiotics. Responsible sourcing goes beyond Chick-fil-A ingredients and includes sustainable efforts throughout the restaurant. Today the equivalent of more than 4.5 million recycled plastic bottles are clothing more than 100,000 restaurant team members across the country.